As gardeners, aren't we all tempted by beautiful plants that occur along the roadsides and in other public places? If we only take a few, it won't make much difference, right? Wrong! Even if it weren't illegal, it is selfish to remove plants from roadsides where we all can enjoy them to the seclusion of your own yard. These days, many of the roadside wildflowers are planted by the Department of Transportation. We certainly should not be taking these plants, whether they were planted by Mother Nature or purchased with our taxes. But under certain circumstances you can get a permit to do so. A road near my house is due to be widened from two lanes to four. 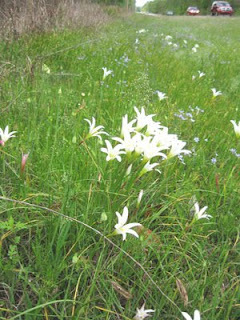 When the road construction begins, a sizable population of beautiful native rain lilies (Zephyranthes atamasca) in a ditch next to this road would be buried. 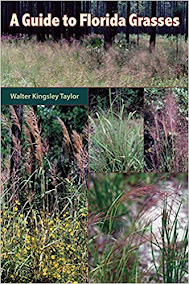 Are You Growing Native Plants? 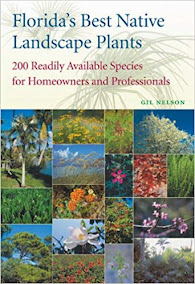 Are you growing native plants?Designing landscapes or that include native plants? Installing or maintaining native landscapes? 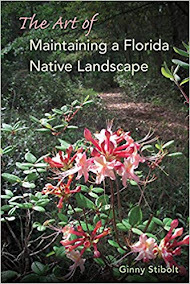 Restoring natural areas?Getting more inquiries about natives from your customers?Join the leaders in the Florida native plant industry - the Association of Florida Native Nurseries (http://www.afnn.org), the nation's largest and oldest native nursery association. 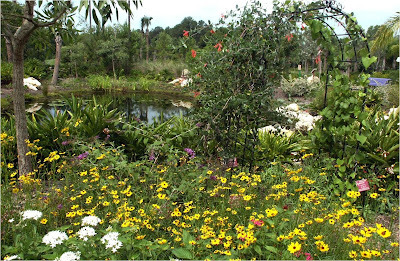 But realize -- we're not just nurseries anymore --our members also include landscape architects, designers, contractors and environmental consultants who specialize in using Florida native plants. We've always been the leading source for native plants, but we now also routinely receive requests for LAs, designers, contractors and consultants who know natives and like to use them. We need you, and we can feed you referrals. And if your firm offers another product or service allied with sustainable landscaping, we'd love to hear about it. 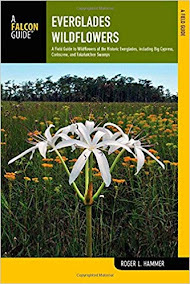 Our friends over at Florida Wildflower Foundation produced this great video. 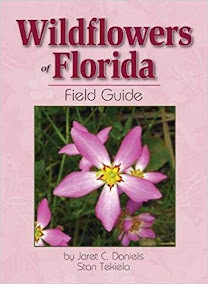 It is particularly good if you're working to identify more of Florida's beautiful wildflowers. Enjoy! Okay folks, hold onto your hats. A reality which may shock many of you is that weedy lawns support a greaterdiversity of butterflies than most standard butterflygardens. (I am sorry, but it is true.) Sure they aren’t the flashy “macros,” but weedy lots are well known for being great places to see the smaller, sometimes rarer, butterflies such as skippers, hairstreaks, sulphurs, whites, and blues. 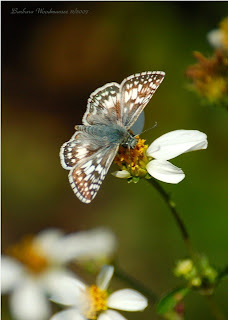 The photo here shows a common checkered skipper nectaring on Spanish needles, a common lawn plant. 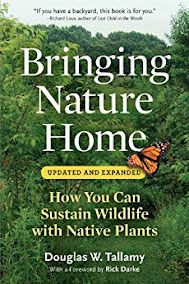 consist of the same speciesend up looking rattyare filled with native plants outside their rangecontain non-native nectar and host sources Well, let’s evaluate the positives and negatives of butterfly gardens. Want your county to buy into the valuable economic and ecological impacts of preserving native roadside wildflowers? 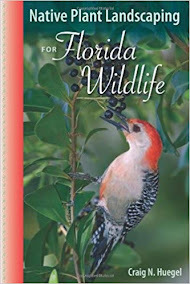 The Florida Wildflower Foundation has just the thing for you, thanks to FWF Chair Jeff Caster and wildflower enthusiast Eleanor Dietrich, Tallahassee of FNPS’ Magnolia Chapter. The two have developed a “kit” that can be used to persuade your county government to support the growth of native wildflowers. The simple kit includes a fill-in-the-blank county resolution that pledges support for roadside management, including reduced mowing, that promotes the growth and reseeding of naturally occurring wildflowers. 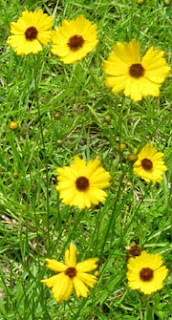 An accompanying PowerPoint presentation explains the historical, cultural and ecological importance of Florida’s flowers. Notes embedded in the presentation prompt the presenter to engage the audience and add county-specific information and photos. Congratulations to the dedicated members of the Magnolia Chapter who managed to host an event that exceeded the high expectations for this historic event! Sid Taylor, a Hernando Chapter member, recorded some of things that she wanted to remember from his experience at the conference. If you, like poor, poor, pitiful me, had to miss the conference this year you will enjoy his little list. 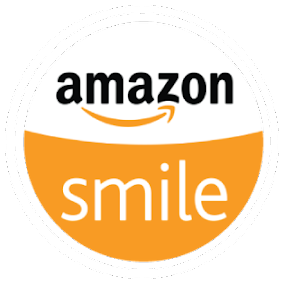 Thanks for sharing, Sid, and NOW, let's hear from you, Readers! What did you like, love, learn from from this year's conference?? Take a leap and post your comment below. It's easy! If you don't have a Google Account, blog or url, you can choose the "Anonymous" selection and post using that option. And if you want to include your name, great! Just put your name at the bottom of the comment. This kind of sharing is what's fun about the blog world. Join the conversation!